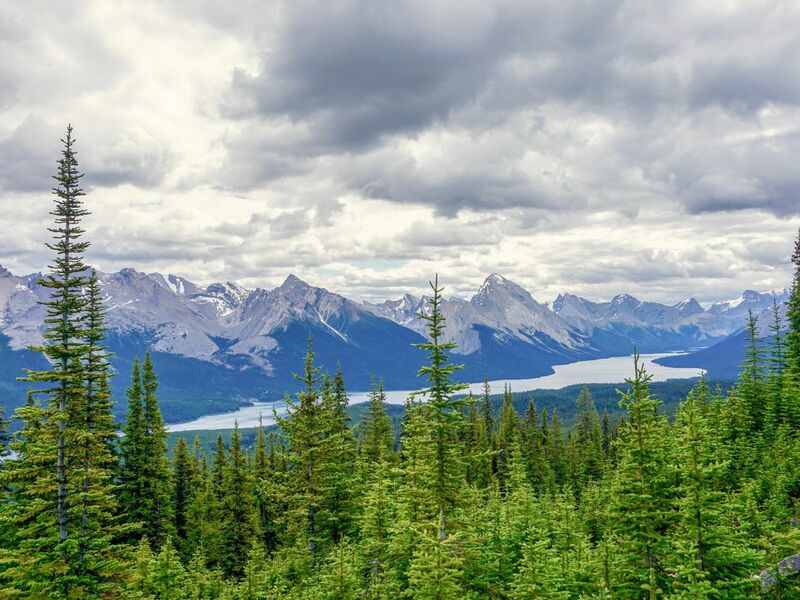 Head north from Jasper on Highway 16 until you reach Maligne Lake Rd. Turn right on this road and continue along it for its entirety. The views along the way are stunning, and you will pass several gorgeous lakes with spectacular views of peaks across. Continue to the end of the road and park in the last lot, to the right of the hotel. From the parking lot, cross the street, passing the road to the warden station and find the trailhead. 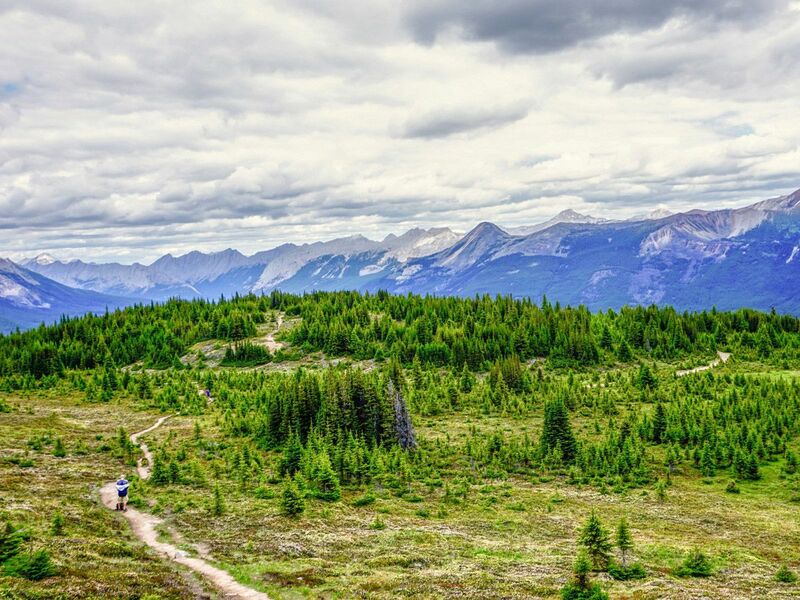 The trail is extremely wide, however bikes are not allowed. The fire road continues almost the entire way up the hike. There are limited views through the trees, but don’t worry the summit is worth it! Midway through the fire road ascent you will come across a junction, in which both paths are marked as going towards the Bald Hills summit. The left path takes a much more direct, steeper route that shaves some distance from the ascent, and the right path stays on the fire road and is more gradual. We recommend that you take the shortcut going up, but take the long route coming down to save your ankles and knees. The paths meet again just above the tree line in a beautiful alpine meadow. One of the Bald Hills is now clearly visible, with steep switchbacks winding up it. If you have taken the shortcut turn left to continue along the path. Approach the dome and take the direct route up. The trail to the left leads to another peak. Climb the steep path up to Bald Hill. At the top you will find yourself on a completely barren alpine field. 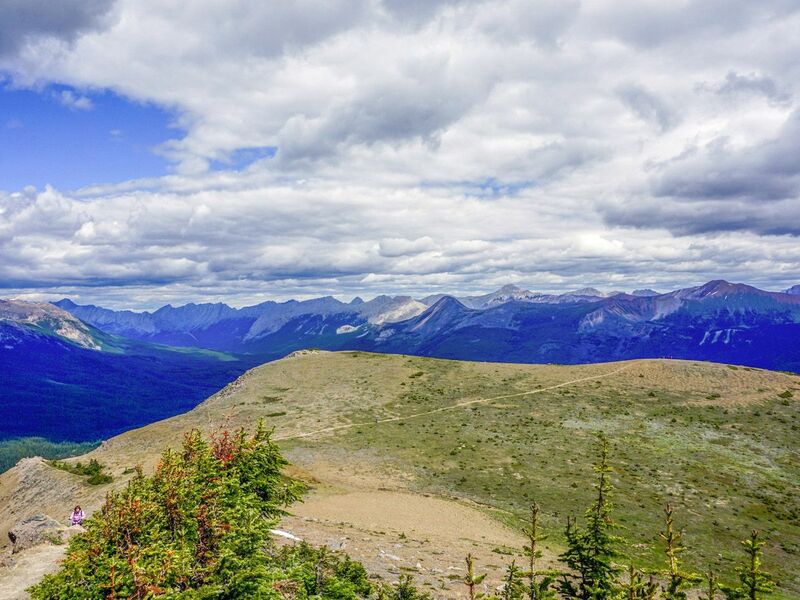 From here you have fabulous views down to Maligne Lake and across to Leah Peak, Samson Peak and Maligne Mountain. 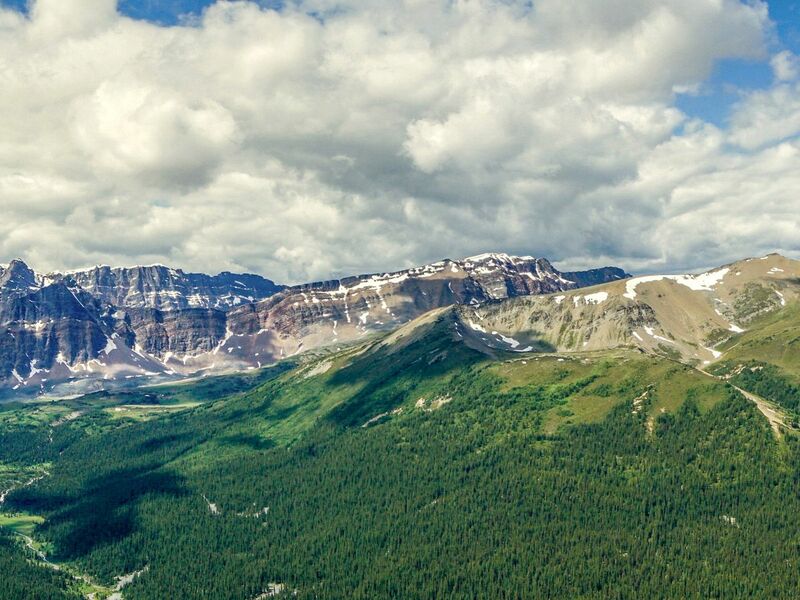 Several glaciers cling to their slopes, and on sunny days the views are unbelievable. Up on the hill it is usually blustering, so remember a warm coat and a windbreaker. 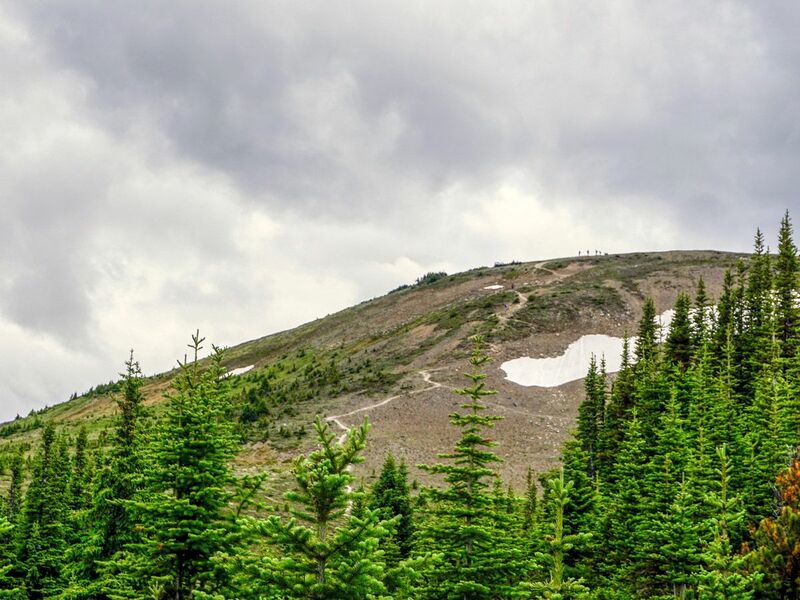 This can be the end of the hike for you, though we recommend continuing along the path to the peak that lies behind. Climbing this ridge grants you views down into a totally secluded valley and the fortress-like mountains that adorn it. Across the valley you can see Trowel and Evelynn Peaks and the sheer rock faces that surround the valley. 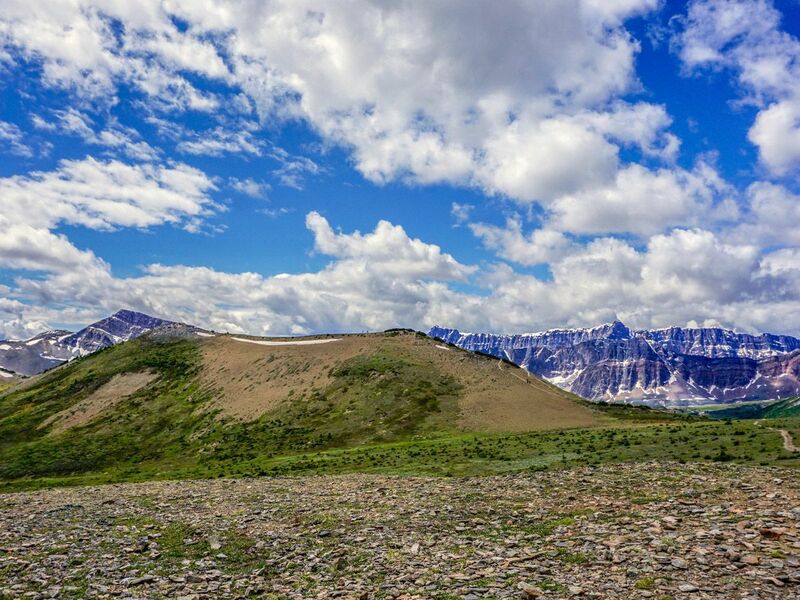 To get to this peak, simply traverse the meadow and contour to the left to climb the ridge. The path is clear, and there should be several people relaxing on the summit. 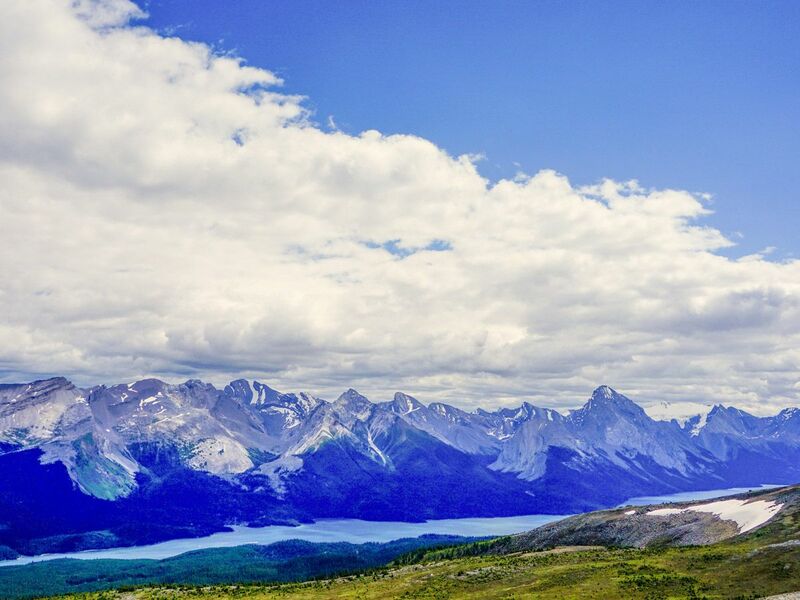 This higher ridge hinders your view down to Maligne Lake itself, but the views on the opposite side are stunning. 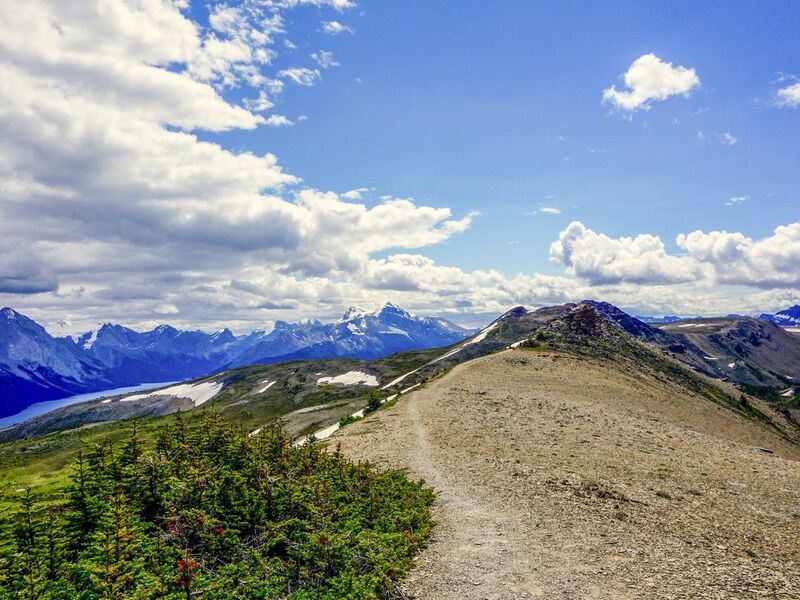 To come down you have the option to continue along the ridge and cut down to the aforementioned path that leads past Bald Hills to another unnamed peak. Reuniting with this route gives a more gradual descent, and totally bypasses the steep slopes of Bald Hills. The drive to this hike is incredible, and many people stop to take pictures. Be very careful if you choose to stop and get out of your car, as this road can be busy in summer. This is great to combine with a Maligne Lake Boat Cruise. Snacks can be found at the Maligne Lake Gift shop, just up from the Boat House.